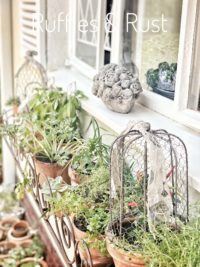 When hubby and I bought our forever home I could not wait to start a herb garden of my own. As a little girl, I can remember my mom cooking up a storm for our Sunday guest. Our house was somewhat of a “Gathering” house for family and friend and my mom and dad loved entertaining. 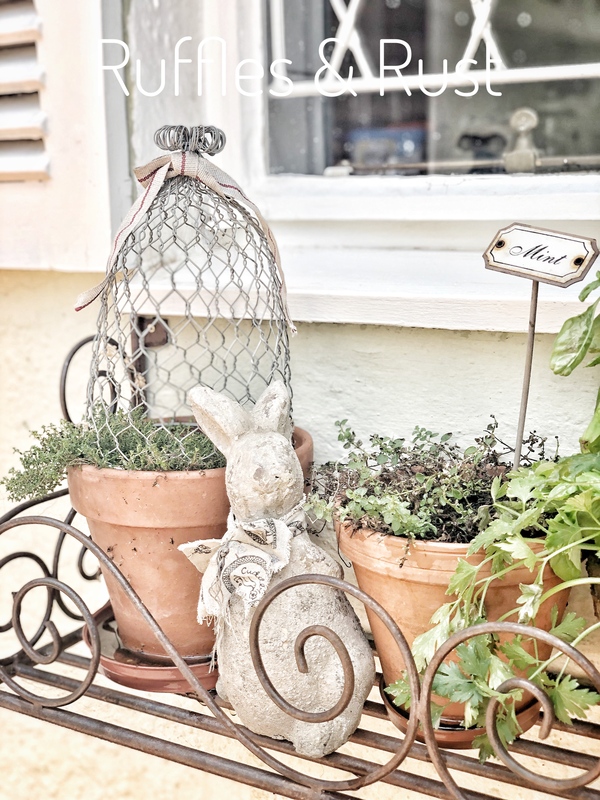 My mom would include me in the preparations and would send me off to our herb garden for some fresh herbs for our Sunday feast. Ever since I can remember most of my moms cooking and especially salads would have herbs picked straight from our herb garden. 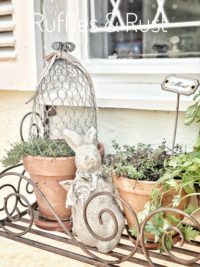 My dad would be in charge of caring and growing the herbs and my mom would enjoy the fresh bounty they would bring. 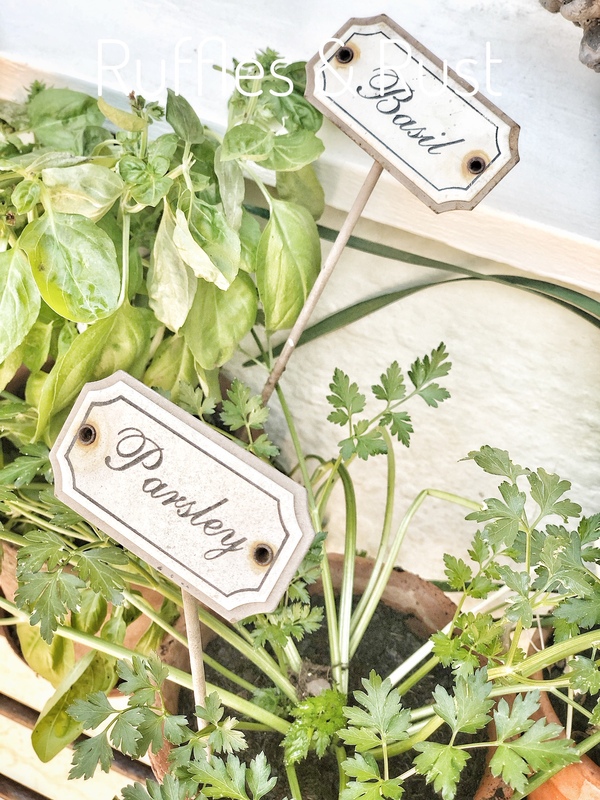 Still today my dad grows fresh herbs for my mom and even had a little sign made for her”Maureen’s Herb Garden”. Just so sweet don’t you think! 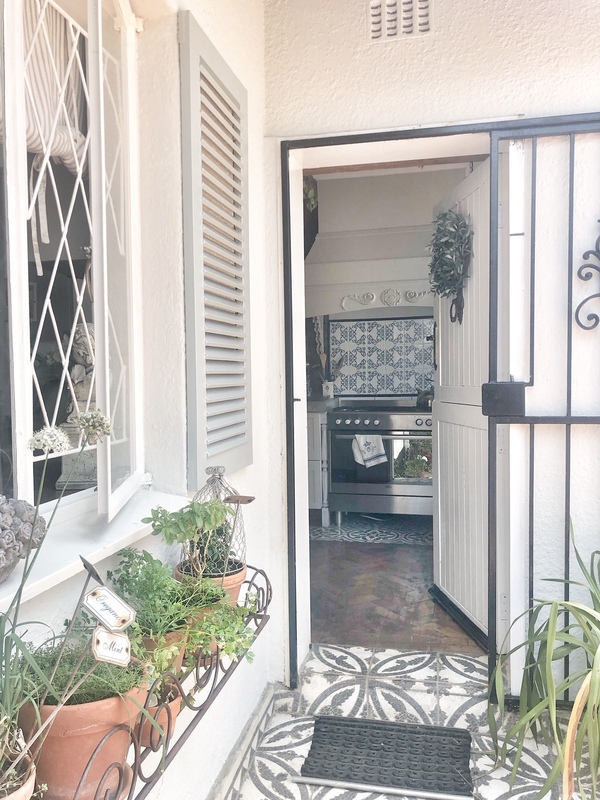 We have been in our home for almost 6 years now but from almost day 1 we have had a herb garden. 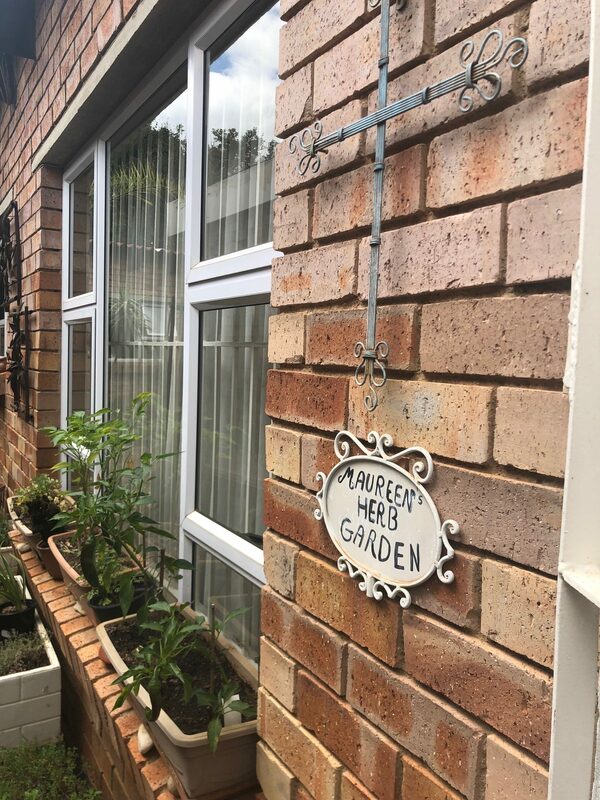 We bought our home with an already established veggie patch but no real herbs to speak of. 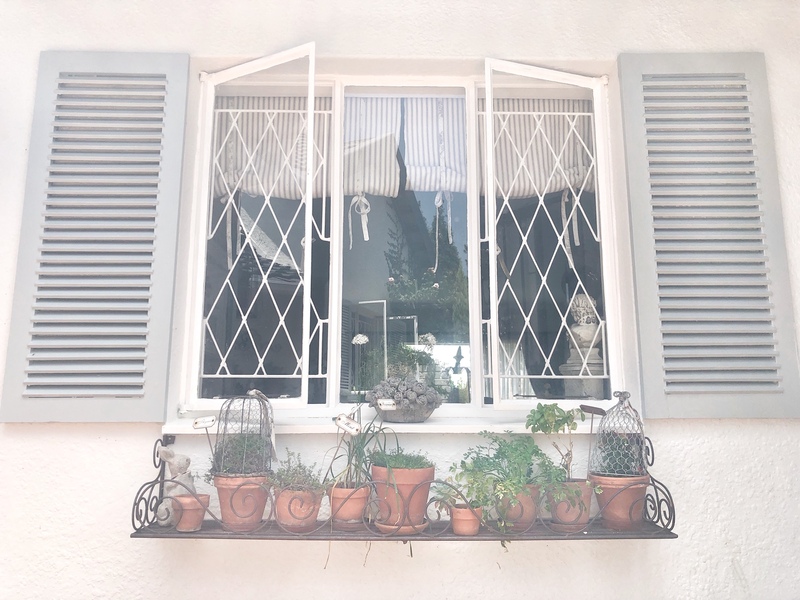 I knew I wanted my herbs to be easily accessible to my kitchen so I opted for a custom window box to be made and filled the window box with all heights and sizes of terracotta pots. 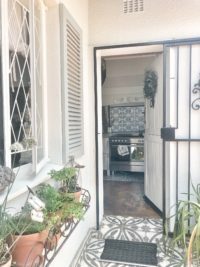 We recently added shutters to the windows, this really speaks to the character of the house giving it that quaint cottage feels that I love and adore. 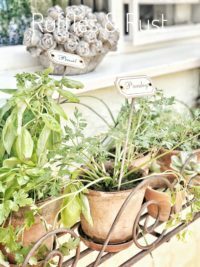 The trick to growing fresh herbs is pretty simple, you need lots of sunshine and water. 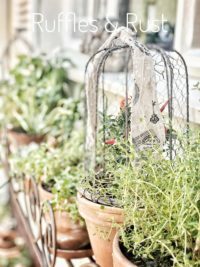 If you happen to forget to water your herbs they will dry out pretty quickly and the chance of recovery is slim. 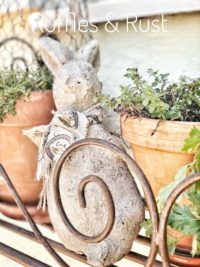 I read a very interesting article on growing your herb garden from Garden & Home , you can read more here for more detail info. 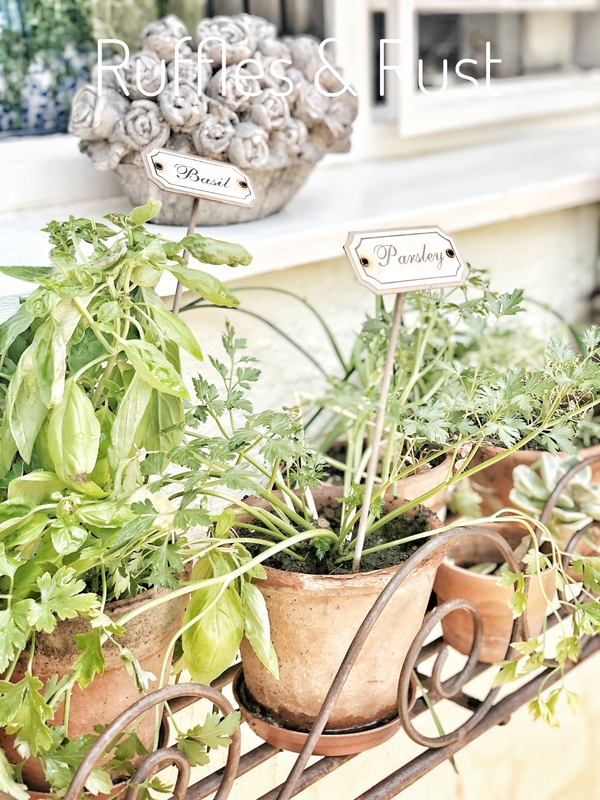 If growing your herbs in a terracotta pot, use a tray to catch excess water. This will help the plant keep moist and not dry out. 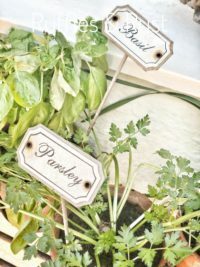 Only grow herbs that you will use, no point in growing random herbs that you have no idea what to do with them. 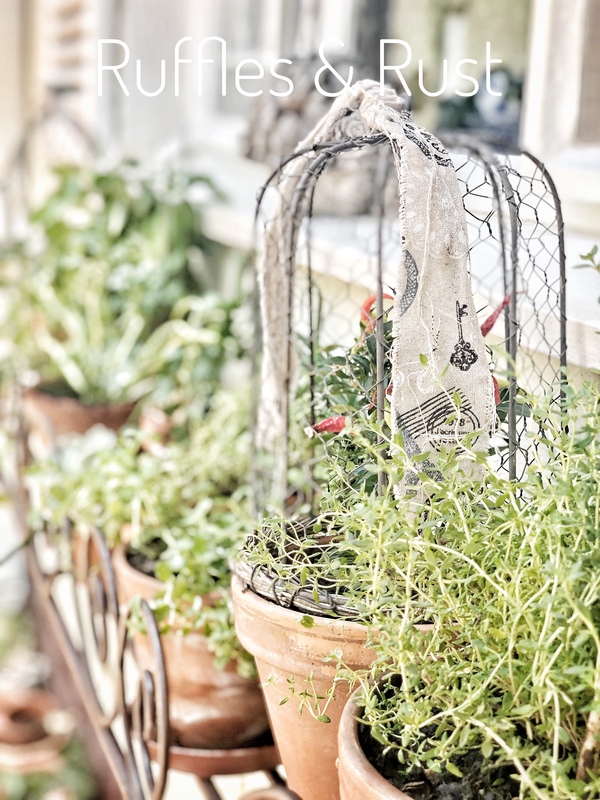 If you see your herbs beginning to flower, deadhead them as this is a sign that you plant is wanting to set seed to replenish your herbs as and when needed, most herbs are annuals. 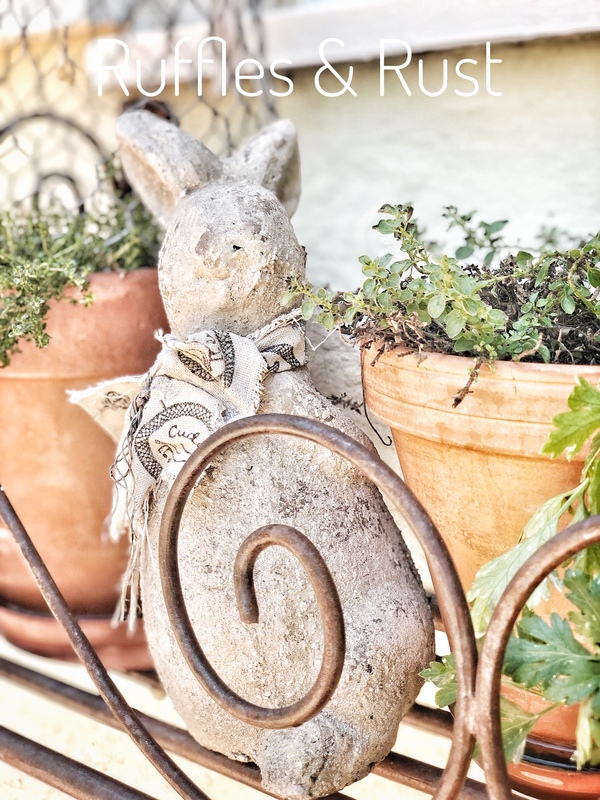 Rosemary or lavender as a hedge for your veggie patch if possible, these are known to keep aphids away. Do not over water rosemary as they are native to the Mediterain parts of the world and do not require a lot of water. Spray your herbs with a light misting of sunlight liquid soap and water (about 1 tsp to 1 liter of water) this will prevent aphids from affecting your herbs.